The Orthodox Church was founded by our Lord Jesus Christ and is the living manifestation of His presence in the history of mankind. The most conspicuous characteristics of Orthodoxy are its rich liturgical life and its faithfulness to the apostolic tradition. It is believed by Orthodox Christians that their Church has preserved the tradition and continuity of the ancient Church in its fullness compared to other Christian denominations which have departed from the common tradition of the Church of the first 10 centuries. Today the Orthodox Church numbers approximately 300 million Christians who follow the faith and practices that were defined by the first seven ecumenical councils. The word orthodox ("right belief and right glory") has traditionally been used, in the Greek-speaking Christian world, to designate communities, or individuals, who preserved the true faith (as defined by those councils), as opposed to those who were declared heretical. 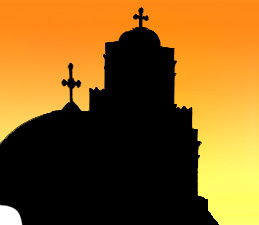 The official designation of the church in its liturgical and canonical texts is "the Orthodox Catholic Church" (gr. catholicos = universal).